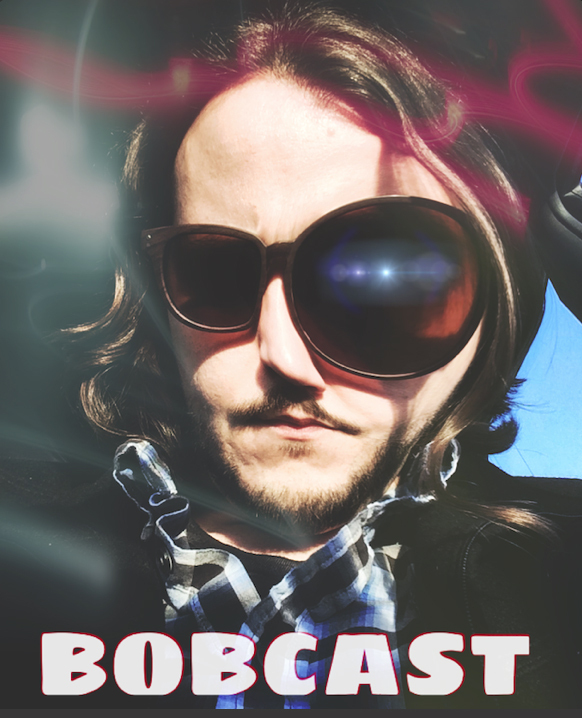 I was a guest on Bobcast, a podcast all about pop culture hosted by my “old” friend Bob Cahill, who lives in Pennsylvania. I put the word “old” in quotes because Bob is not that old — or not as old as me, anyway. We’ve been friends since 1989, when I was 31 and he was about 5. Bob will explain in his introduction from Bobcast #123, which he posted on Oct. 23, 2016. Read the transcription below, or listen by clicking HERE and scrolling down until you find #123. I first met him at the counter-culture moment, the watershed moment of my life, 1989, when the film “Batman” hit cinema theaters. I was hooked. I was completely mesmerized by Michael Keaton’s performance. I had Batman T-shirts. I had Batman socks. I had Batman underwear. I was all over the place. I’m on vacation with my family in Sea Isle City (N.J.), and I’m on the beach, and I’m drawing pictures in the sand with seashells of Batman and, I believe, Frankenstein’s monster. And someone sitting next to us on the beach says, “Hey, man, I like to draw, too.” So he starts to draw, and immediately, I’m like, this guy’s really good. I mean, there was maybe a 20-year difference, I believe. I said to myself, wow, this guy is a true artist. This is who I wanna be one day. My parents got his contact information, and over the next several years, I would receive packages in the mail of newspaper articles that he had written, comic book cartoon strips that he had done, and just basically a plethora of pop culture. So before the Internet was even invented, today’s guest was my only source of media, my only source of, just, entertainment. So with that being said, ladies and gentlemen, please welcome to the Bobcast Mr. Mark Voger. MARK: Thank you very much, Bob. That was a very sweet introduction. I do remember that day very clearly. Batman was in the air. People don’t remember: 1989 was, like Batman Summer. He came back. He was everywhere. It was like 1966 all over again, which was my Batman growing up when I was 8 years old: Adam West. So I was, like, just flipped out. I remember you had a Batman T-shirt on, even, that day. BOB: Yes, I did. I was hooked. I mean, I’ll never forget it. I remember seeing the news, and people lined up at the theater, and thinking, “This is it. This is the moment.” Yeah, that was a chance encounter, and I’m glad that it happened. Like I said: You were the Internet before the Internet existed. So, classic monsters: I guess my dad showed me, at age 3, “Dracula,” “Frankenstein.” My earliest memory of being completely mesmerized was “Abbott and Costello Meet Frankenstein.” From what I recall, this is also one of your favorite films as well, right? MARK: It’s my favorite. I always feel like I’m an 8-year-old in, now, a 58-year-old body. I always feel like a kid. My favorite television show is “Leave It to Beaver.” I still dig “The Banana Splits,” whatever. Yeah, “Abbott and Costello Meet Frankenstein,” 1948. It’s just a magical movie. It’s the first monster movie I ever saw. The weird thing about it was, I had never seen one, but I had seen all these photos of Dracula, Frankenstein and the Wolf Man; I’d seen them on the covers of Famous Monsters (magazine); I’d seen them on the box art of Aurora model kits. And then when I finally saw this movie, it was like all of that come to life. (Bela) Lugosi was the definitive Dracula. Glenn Strange was, to me, what Frankenstein exactly looked like. And of course, there was only one Wolf Man: Lon Chaney Jr., God bless him. So it was like watching the model kits come to life, or the magazines come to life. BOB: So, Glenn Strange — his version of Frankenstein, especially in that opening sequence there, delivering the crate — he really encompasses the role. But why was (Boris) Karloff not involved? 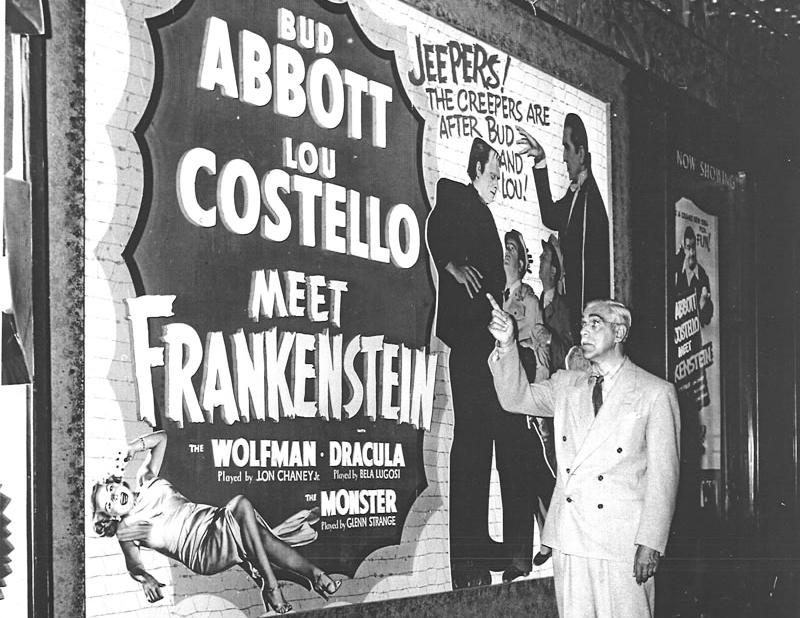 Boris Karloff wasn’t in “Abbott and Costello Meet Frankenstein,” but Universal paid his hotel bill for posing in this photo — as long as, Karloff stressed, he didn’t have to actually watch the movie. MARK: Well, that’s like a don’t-get-me-started topic. I have Karloff’s entire life and career memorized. Basically, he was done with it by then. This was 1948. He’d played the monster three times — I’ll try not to get too detailed — “Frankenstein,” 1931, “Bride of Frankenstein,” 1935, “Son of Frankenstein,” 1939. Then he was done playing the monster. But he did appear in a Frankenstein movie after that: “House of Frankenstein,” 1944. Glenn Strange — who was in Westerns — played the monster, and Karloff was the mad scientist who revives him. So Glenn Strange always said, for the rest of his life, that Boris Karloff was the sweetest man, and taught him a lot about how to play the monster. Karloff gave the best performance (as the monster). That’s undeniable. But Glenn Strange looks, to me, like Frankenstein. His was the face that they put on all the marketing. So it was just: That’s Frankenstein, to me. That face of Glenn Strange. BOB: There’s so many great moments in (“Abbott and Costello Meet Frankenstein”). Things that stand out to me the most are the Wolf Man transformation sequence; I believe it’s in a hotel room. I thought that was brilliant. That hooked me. So this comes out in 1948, right? So then, in the era that your book describes, the “Creepy, Kooky Monster Craze,” 1957, what was the tonal shift in films from the classic Universal Studios monsters to this new era? MARK: The tack that movies took was a sci-fi tack. The first biggie was “The Thing From Another World,” 1951, which was secretly directed by Howard Hawks, who was a great director. It’s considered one of the great science-fiction films. But all those black-and-white sci-fi films of the ‘50s, a lot of them had giant bugs, like “Tarantula” and “Them.” “Beginning of the End” had giant grasshoppers. They were usually caused by radiation, and usually fought by the military. So it was reflecting the zeitgeist of the time, because this was during the Cold War, the Red Scare, so people were afraid of Communists and people were afraid of atomic war. So the movies became sort of about those things. So classic monsters were out of favor through the entire decade, until this explosion happened in ’57. BOB: So if you could pick three films from this era that everyone has to watch, what stands out to you as: “You’ve gotta check this film out”? MARK: Well, I’m a corny guy, so I like cheezy stuff. And that ‘50s period wasn’t my favorite. If I were recommending for your edification, I say, yeah, “Thing From Another World.” It’s a crafted film. It’s great. But in my heart of hearts, I actually prefer “Beginning of the End,” which has the giant grasshoppers. Because, Bob, it’s so cheesy. I mean, they have a scene where the grasshoppers are crawling up a building, but the “building” is just a photograph, and it’s just shot on an angle with real grasshoppers crawling up this photograph. At one point, one of the grasshoppers jumps on the sky! So I like the cheezy ones. I like, yeah, “Beginning of the End” and “Monster That Challenged the World.” It’s just awful. But it’s funny. These are the kind of movies that the kids on “Leave It to Beaver” used to go see. BOB: Recently, I’ve been reading a lot that Universal Studios is now trying to reinvent themselves with the Universal Studios monsters. 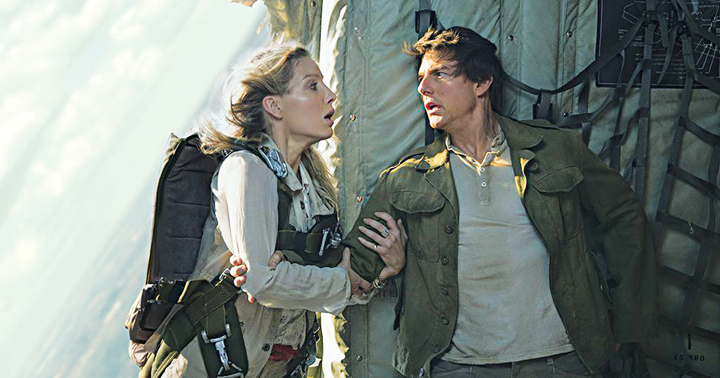 They just filmed “The Mummy” with Tom Cruise — not as the Mummy, but Tom Cruise as the main protagonist. Which, to me, I can’t imagine why he did it. But hopefully, these new films that come out — with Russell Crowe as Dr. Jekyll, Javier Bardem is in negotiations as Frankenstein’s monster — it seems to me as if the monsters are going to make a return, and they really couldn’t come at a better time, when, if you turn on any news station, we’re in the middle of a debate with, I guess, modern-day monsters, the way that they’re describing the world and how it is. What are your thoughts on Universal bringing back the classics? Does this look like a Mummy movie to you? It looks like a Tom Cruise movie to me. They’re blowing it! MARK: Well, Bob, I’m not hopeful, just because — I didn’t even know Tom Cruise was going to be in the Mummy movie, but right off the bat, it sounds like the kiss of death. But don’t forget: I’m an old guy now. They’re doing it because, everybody went nuts because of how the “Avengers” thing worked out. Marvel (Films) did that thing where they put out a Thor (movie), they put out a Captain America, they put out an Iron Man, and then they put out an Avengers, and it was a big hit. It’s all braided. That’s what Hollywood is. It’s “follow the leader.” They just want a blockbuster. So once “The Avengers” was a hit, they announced that they were gonna do the Universal monsters. They said they were going to put the guys in charge that did “Fast and the Furious” and “Transformers.” You might know their names. To me, nothing short of digging up (directors) James Whale and Rowland V. Lee and Erle C. Kenton and Charles Barton, and then reanimating them like Dr. Frankenstein would — I’m just such a traditionalist and such a nostalgic cat that I just know they’re going to ruin it. It’s going to be more about Tom Cruise than the Mummy. This is my guess. They’re going to update them. There’s gonna be crazy special effects. To me, I still love those old Universal films. The special effects were so imaginative. By today’s standards, yeah, sure, they weren’t as great as the “Transformers,” but to me, they’re better. You could believe them. There was no digital. You saw actual electricity. It was just really cool. It was in your mind, a lot of it. I’m worried that they’re going to update the monsters just like they did with superheroes: make them bigger, meaner, uglier. I’m not hopeful. But you sound hopeful, and I don’t wanna rain on your parade. BOB: No, I’m the same way. I get why they’re doing it. It’s the shared universe, and how it’s a franchise and it’s a moneymaker. But it’s also a property that, not only my generation and your generation, my parents’ generation, everybody can relate to it, because they remember when they saw the Universal Studios monsters. And the images of Frankenstein, Dracula, the Wolf Man, the Mummy — they’re just classics. To me, what I would’ve done, I would’ve superimposed Karloff, got the rights to Lugosi, and brought them back. They can do that now with CGI. I think that would be interesting in itself, but I know they would never go for it. The Mummy is now portrayed by a female actress (Sofia Boutella), which is something new. But I’m excited to see what they do. I hope it comes off in the right tone. I remember years ago that they announced that Hugh Jackman was going to be Van Helsing. I was like, “Aw, this could be great!” I just remember going to the theater and being like, “No, this is not great.” It was just so drenched in computer graphics. Like, the finale sequence is just hard to watch. Switching things over: On the beach that day, we were drawing Frankenstein’s monster, we were drawing Batman. The other side of Mark Voger’s universe is that he also enjoys superheroes. He put out a book called “Hero Gets Girl!” a few years ago. It’s amazing to me what happened. Kevin Smith always talks about how what was really corny or being a nerd in the early ’90s for liking comics, is now something that’s cool. Batman is a topic on the Bobcast that we talk about quite a bit. So, the Christian Bale films, the trilogy that (director) Christopher Nolan put out. For me right now, I miss those films. I was very critical of them when they came out. I think “The Dark Knight” is really a great movie. “The Dark Knight Rises” definitely has its issues. I mean, cable access in a dungeon cave in the middle of nowhere didn’t make any sense to me. But what I’m trying to get at it: the new Batman. I’m anxious to know your thoughts on Ben Affleck as the Caped Crusader. MARK: Well, Bob, it’s funny you should ask that, because I’m the kind of guy, since they started putting out these movies, which began in ’89 — I was always really loyal to characters. So I went to see “The Flintstones.” I even went to see “The Flintstones in Viva Rock Vegas.” I even went to see “Catwoman” with Halle Berry. Whenever I was loyal to a character, I would go to see it. And I saw every Batman movie in the theater, including all three Christian Bales. 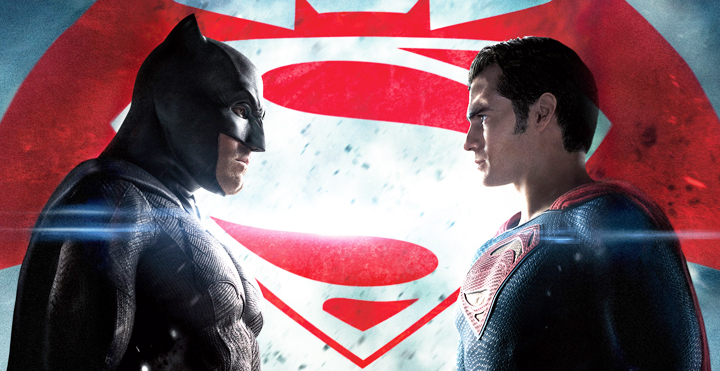 When it was “Batman v Superman” over the summer, it was the first time that I sat one out. I thought, “I’ve gotta go. I’ve seen every single one of them in the theater, going back to 1966. I saw that in a drive-in when it came out. I have to go.” Weeks turned into months, and then I realized: “I guess I’m not going to see this.” I really do think the reason was: I just didn’t care anymore. And Ben Affleck — I really do think he’s not such a hot actor. I dunno. I just didn’t go. And then I didn’t go to “Suicide Squad,” which I found out he was in playing Batman again. So I just recently pulled out. So I have no first-hand knowledge of how that movie turned out. I even went to see “Man of Steel.” I got that far. But I finally just said, “I’m done.” So I really don’t know. My little brother (Brian Voger) saw it (“Batman v Superman”), and he actually said it was the worst movie he ever saw in his life. BOB: Yeah, I had a very similar — I’ve seen every single Batman film since 1989 with my father, and we’ve enjoyed each and every one of them. I remember sitting in the theater with him (for “Batman v Superman”), and within the first 15 minutes, I looked over at him, and I was like, “I can’t believe they messed this up.” I have been attacked on Twitter, I have been attacked on different multi-media social platforms, about me defending Batman. I wrote an article about it, just basically saying that this isn’t the Batman that I’ll show my son. This is not the definitive version. I agree that Ben Affleck, his acting — see, a lot of people say that he’s a great Bruce Wayne. Great. But Bruce Wayne is Batman. You know what I mean? Batman’s pretending to be Bruce Wayne, not the other way around. Ben Affleck drew comparisons between “Batman v Superman” and Frank Miller’s “The Dark Knight Returns.” Puh-LEEZ! For me, the film was a major disappointment. I really had high hopes for DC Comics launching the multi-universe. I didn’t necessarily mind “Man of Steel.” I though it had some interesting plot points. I especially like the Krypton sequence, which is something we’ve never seen before. But it’s just so hard to be a Batman fan in film right now. You haven’t missed anything if you haven’t seen it. “Suicide Squad” is a little bit more enjoyable, I would say, as far as popcorn film goes. I’m a huge Joker fan, and the only drawback to this film is that the Joker is not in it. I believe he has 11 to 12 minutes of screen time, total. I did see on your blog, there’s an entry “Why I sat out Batman v Superman,” and you click on it and you scroll down, and it just says “Ben Affleck,” and that’s it. I just thought that was great. MARK: Yeah, my two-word blog post. BOB: Yeah, I liked that. That’s to the point. I was like, “Oh, he’s on board with me.” Now it’s at the point where we’re going to have to wait another generation or two to get another Batman that we like. 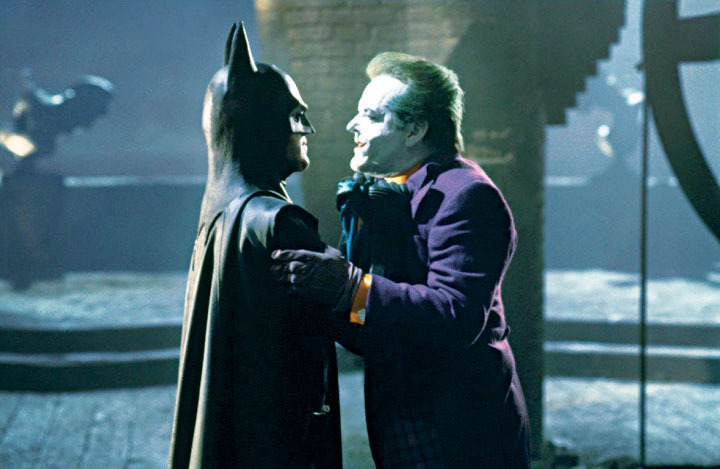 People are saying, “Oh, well, Batman killed people in ‘Batman Returns.’ He dropped the bomb on people.” But in this film, he’s just brutal, and there’s no real explanation. “Oh, he’s tired.” But, I mean, come on. He’s Batman. Ben Affleck came out recently and said the film reminds him of the tone of “The Dark Knight Returns” by Frank Miller. I mean, there may have been a couple of iconic moments in it where you see Batman in a pose. But to me, it didn’t have any of those elements. So on all Batman fronts, I’m like, come on. Even in the books. I’m not trying to talk trash on (writer) Scott Snyder, but the comic books themselves, I pulled out on recently. I stopped when I was a teenager and started again in my twenties. I bought all the “52’s.” I loved all the “52’s.” Then it started to get — it wasn’t about Batman. It was about everything but. So we need Batman back. MARK: Well, here’s my dream for Batman. But Bob, I think it’s just my crazy corniness. But to me, I would go to Mike Myers and say, “You develop a script and you direct it, and you play a villain. Maybe Mad Hatter would be good for you. And then make it in the style of the 1966 Batman.” Because he could pull that off, because he did such a great job in the “Austin Powers” movies. And then, I already know who should play Batman: It’s Will Arnett. Of course, weirdly enough, he voices Batman in “The Lego Movie.” It’s funny; they did funny stuff with Batman in “The Lego Movie” that I like better than the real Batman movies. BOB: Any interpretation is better than what’s going on now. They did just wrap “Justice League,” so we’re gonna see Aquaman, we’re gonna see Flash. Actually, I just watched — the CW brought over Supergirl. There was a new incarnation of Superman. It was great to see a Superman that was lighthearted. It reminded me of “Lois and Clark.” The show itself has some issues, pacing wise. Have you seen that new Superman? MARK: No. I’m so weird. I just live in the past. I’m literally binge-watching “Leave It to Beaver” as we speak. Like, that’s what I’ve been watching for the last couple of months. I just watch old movies, old TV shows. I’m just, like, out of touch, Bob. I’m not on Facebook. I don’t have an iPhone. I’m this close to growing the beard and moving into the shack. BOB: There’s nothing wrong with that. As good a place to end a podcast as any. Thanks for having me on, Bob! Imagine. They had THIS, and they still made a crappy Catwoman movie.